The old Captive Faith site. 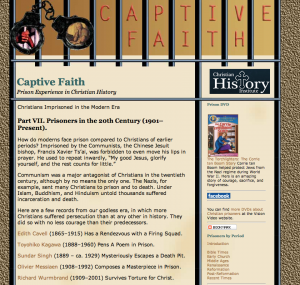 Captive Faith has been around for many years, before i-phones and tablets and other mobile devices were in wide use, so it is high time for a redesign. You’ll find the same great stories, the same inspiring writings and the convenient organization by eras that we had in our old website, but with an updated look. We’re also mobile-friendly now, making it easier to read on the go. But the fresh look and improved mobility are not the best things about this new site design! For the first time ever, we are inviting you, our readers, to send in your own Captive Faith story. If you have a faith story related to your own prison experience, we’d like to hear from you! Some of the best ones will be featured right here in our blog as guest posts. To send your story, see our contact page. Saving Face. Student by day, car thief by night, Matt Kern wound up with a sixty year sentence after killing a man. 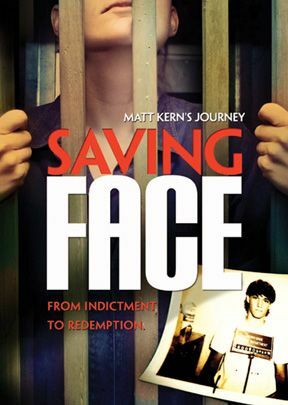 After six years of continued crime in prison he found God’s grace...and eventually clemency.